We’ve all been there. It’s two days before Christmas and there are still several people for whom you’ve bought absolutely nothing. The stores are packed, you’re out of ideas and the stress is building. Fortunately for RVers, we have a list of great gift ideas that’ll help you avoid the harsh judgment of not having anything to pass out for the holidays. What cooler way to charge your phone than with one of nature’s most primitive elements; fire! 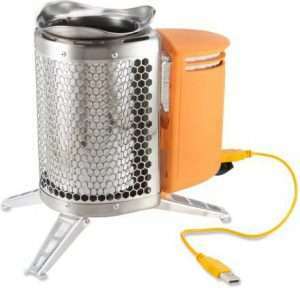 Of course when you’re in your motorhome or camper, you’ll probably have power but when you don’t, you can use sticks and other combustible items in the BioLite Camp stove to charge your iPhone. The stove comes equipped with a USB port so you can charge pretty much any portable device that has the capability to use a USB connection. The stove retails for about 130 dollars at various retailers. One of the most classic holiday movies of all time has been immortalized by Department 56 in their series of holiday lighting decorations. Of particular interest to the RVer is “Cousin Eddies” run-down Winnebago decked out with Christmas lights and looking just as decrepit as it did in the 1989 blockbuster. You can also get the Griswold’s house, Eddie himself and a variety of other figurines from the movie either online or at Macy’s. While you’re sure to be the talk of the holiday party for these gifts, be prepared to shell out some cash for them. Eddie’s RV alone goes for about 85 bucks online. The thermal gun lets you check the temperature of almost anything. 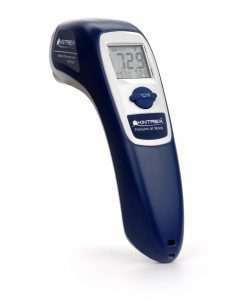 You can do RV tire temperature, food temperature, or pretty much anything else you want. It’s particularly useful for checking the temperature in your fridge and freezer to make sure they’re working right. Tire temperature is also very important when moving from hot to cold climates and back again. Tire temp is very important as your tires could fail if they overheat. The thermal gun can tell you at every rest area if your tires are within proper temperature ranges. It’s a safe bet that if you’re buying for an RVer, they probably have a pet. There are tons of different gifts out there that will make a dog or cat’s ride in the RV that much more comfortable. Some affordable ideas include comfy pet beds or travel pet dishes. You also can’t go wrong with stocking up on lint rollers for your RVer to clean up all that pesky pet hair. 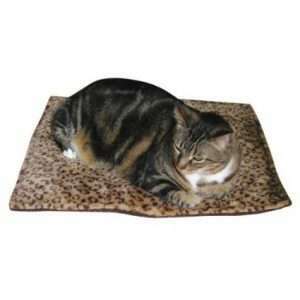 You can even keep your pet warm with a thermal heat bed (this one is for cats). Knowing whether or not you should venture out of the comfort of your RV is important. 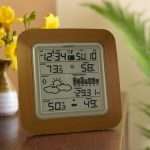 A great gift for the avid RVer is an indoor/outdoor weather station. These are pretty inexpensive and range between 50 and 70 dollars depending on the model and brand you get. They’re all pretty handy and allow you to see outside temperature, wind speed, forecast, date and time. You can mount them on the wall, leave them on a counter or put them on the dash for easy access while driving. Tis’ the season for outdoor lighting. 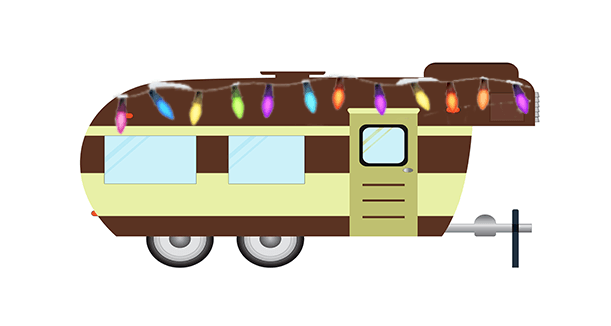 These don’t have to be holiday related and there are plenty of other times throughout the year where you can light up your RV. 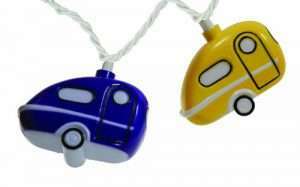 Lights are typically inexpensive and appeal to just about anyone that has a motorhome or towable RV. Be sure you know the style of the RVer you’re buying for. Each person has their own personality and you don’t want to get something that doesn’t go with their style. Lighting that fits their personality works best otherwise you might want to try other gift ideas. 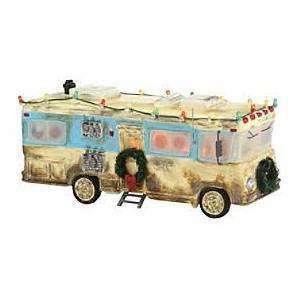 What gifts did you get for the RVer in your family? If you know of other great gift ideas we’d love to hear about them in the comments below!